“Dracula may be a world-famous monster, but he’s really just a family guy,” says director Genndy Tartakovsky, who helped to reinvent classic monsters, like Dracula, Frankenstein, the werewolf, and more in the hit animated comedy “Hotel Transylvania.” The 2012 original film grossed more than $350 million worldwide and still holds the all-time record for highest opening movie during the month of September in the U.S.
Like any loving mother, Mavis wants what’s best for her child. As much as she loves the hotel – the only home she’s ever known – she feels that if Dennis is a human, the best place for him is to be raised with other humans. So, to check out what that might be like, Mavis entrusts her dad to watch Dennis while she and Johnny visit her human-in-laws in his hometown of Santa Cruz. While she is discovering the exciting ways of human life—from their 48 flavors of slushies to the 24/7 mini-markets—Drac is going a little batty back at the hotel imagining a life without his daughter, which makes him more determined than ever to bring out little Dennis’ fangs and give Mavis a reason to never leave Hotel Transylvania. Dracula (Adam Sandler), Frank (Kevin James), Wayne (Steve Buscemi), Dennis (Asher Blinkoff) and Griffin the Invisible Man (David Spade) in Columbia Pictures and Sony Pictures Animation’s HOTEL TRANSYLVANIA 2. Drac’s solution: an epic road trip, in which Drac and his pals pull out all the stops, putting the little “monster-in-training” through monster boot camp. Plans go awry though when Drac’s own dad, Vlad (Mel Brooks), pays them an unexpected visit. “Hotel Transylvania 2” stars returning castmembers Adam Sandler (Dracula), Andy Samberg (Johnny), Selena Gomez (Mavis), Kevin James (Frank), Fran Drescher (Eunice), Steve Buscemi (Wayne), Molly Shannon (Wanda), David Spade (Griffin), Keegan-Michael Key (Murray), and new cast addition, Mel Brooks (Vlad). 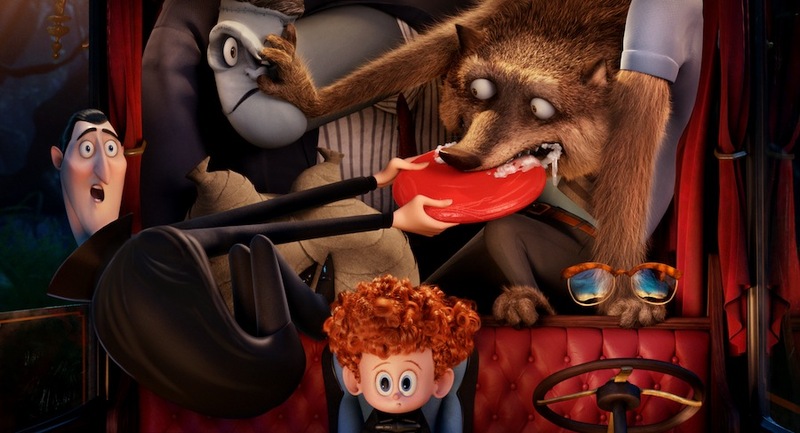 Opening across the Philippines on September 23, “Hotel Transylvania 2” is distributed by Columbia Pictures, local office of Sony Pictures Releasing International.